In order to expand the entertainment possibilities offered by the soccer game FIFA, Electronic Arts developed Ultimate Team. 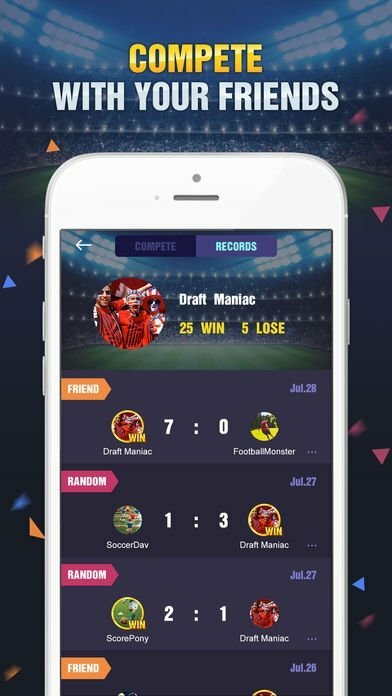 It's a football simulator in which the users can build the own teams with players that are represented on cards or stickers. 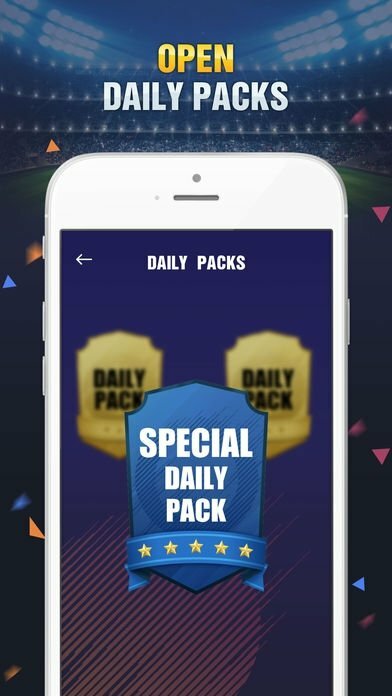 With Draft Simulator for FUT 18 you can bring these games to an iPhone or iPad as the gameplay is identical to that of the EA Sports title and is also based on the same values and scores, in which we have to build our own team according to a key criterion: make sure there are good vibes between our players. The team's success is more important than the egos of the stars. In other words, it's no good to build a team with Cristiano Ronaldo and Messi if they don't get on well. It would be better to design a squad in which everything runs as smooth as silk. To do so, you'll have to choose players that, apart from being talented, have chemistry with their teammates. To know if they cope with each other, you'll have to take a look at the lines that join them on the pitch: green, if everything is going fine, or red if you've placed on the pitch players of the likes of Adriano Leite, Gascoigne or Balotelli. The thing is that you can also choose your own playing formation, place substitutes on the bench and hire a coach that suits your philosophy and adapts to your squad. 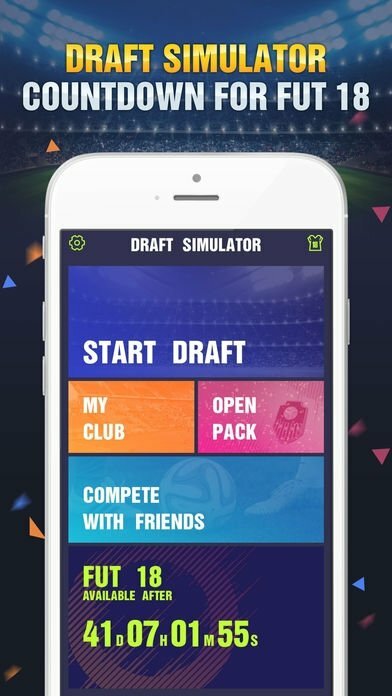 One of the main features of this new version of FUT 18 Draft Simulator, as it's known in its Android version, can be found in the possibility to play online against our friends or random users from all over the world, expanding the entertainment possibility of the fans of this sport. Constant updates with new player data. 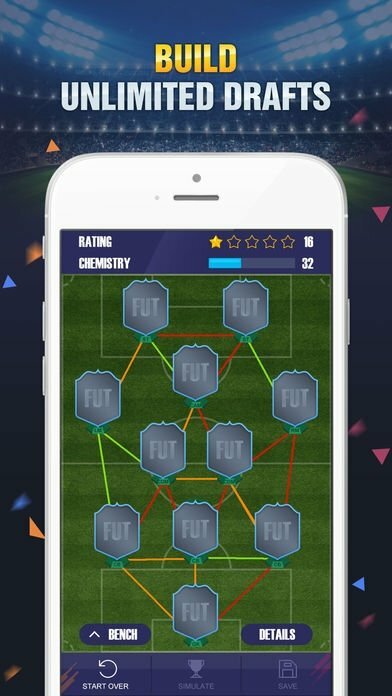 Realistic choice of formations and players. Adjusted calculations of scores and chemistry between players. Save, share, and manage your squads. Simulate matches between teams from all over the world. 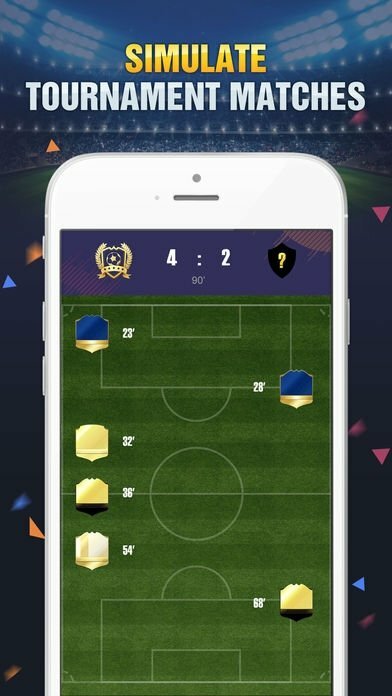 Download this game and prove your scouting and managerial skills building a team as competitive as possible.